Sing to the Lord, all you saints! “The effects of sin touch all of creation; no created thing is in principle untouched by the corrosive effects of the fall.” (A.Wolters) The world is broken, but God is not done with it. And no matter how broken you are, God is not done with you. Main Idea: We have hope because God breaks in. Answer: God created all things by his powerful Word, and all his creation was very good; everything flourished under his loving will. 1. Mission and Vision Lunch today after service! Children welcome to stay in the cafeteria with their lunches and games. A recap of the Mission and Vision lunch will be sent out later this week. 3. Youth Group Bonfire this Saturday, February 6th, 6-8pm at Ocean Beach (in front of Park Chalet.) RSVP to Luke. 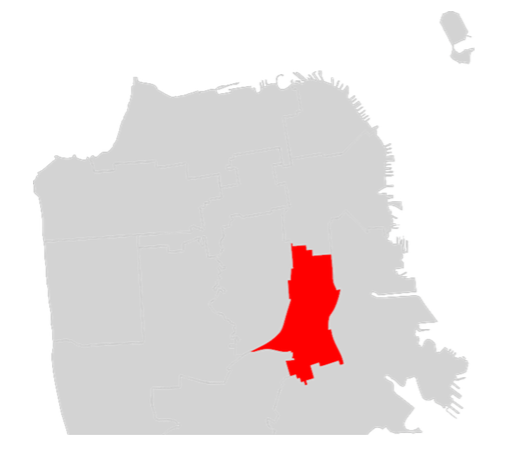 District 9 encompasses some of the most diverse, vibrant, and culturally rich neighborhoods in San Francisco – the Mission, Bernal Heights, St. Mary’s Park, and Portola. About 50% of the residents of District 9 were born in another country. Over 40% of the residents of District 9 have a bachelors degree or higher. Let's continue to pray for District 9, its people, the neighborhood, and the various ministries God is working through there, that God's kingdom would come, and that it would be in District 9 as it is in heaven.